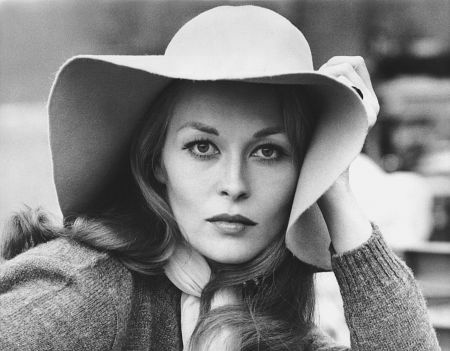 Faye Dunaway is an award winning actress who has performed in a number of films throughout the years. Her net worth is estimated to be at around $40 million. Most of this has been accumulated over the years due to her numerous performances. She is still working on films to this day. She has starred in a number of different types of roles throughout her career. One of her earliest roles was as the daughter of Thomas More in A Man For All Seasons (1962), a theater performance. She quickly began to star in all different kinds of roles, including the lead female role in The Thomas Crown Affair (1968). The actress has also won many different awards and accolades during her career. Notably, she won the Academy Award for Best Actress in Network (1976). She also achieved notoriety for her role in Mommy Dearest (1981), particularly for her line "No wire hangers, ever!" She was most recently married to Terry O'Neill, who worked as a British photographer. The below financial data is gathered and compiled by TheRichest analysts team to give you a better understanding of Faye Dunaway Net Worth by breaking down the most relevant financial events such as yearly salaries, contracts, earn outs, endorsements, stock ownership and much more.